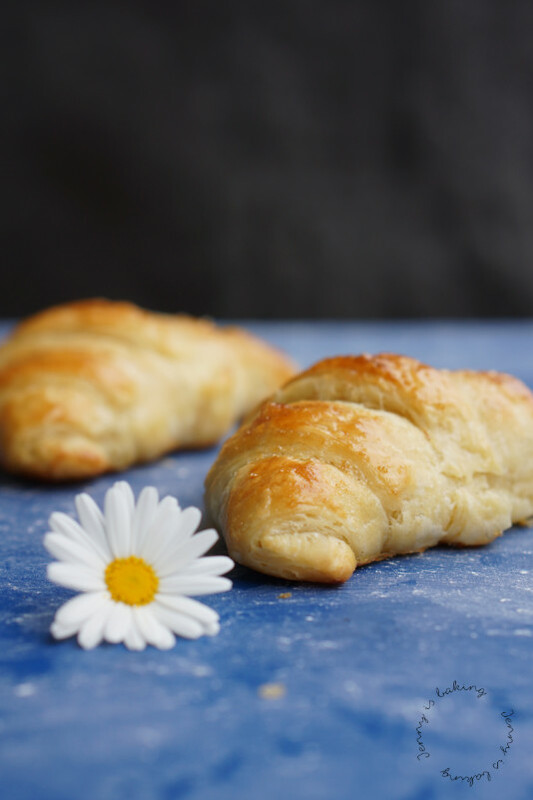 Today I am presenting to you the very best homemade croissants with a step-by-step guide with lots of pictures. Preparation is done over the course of three days and most of the rising times happen during the night. I also give options to either prepare in two days or four days. I did post another croissant recipe about a year ago. But I have learned. When I asked you on Facebook, you indicated you wanted another recipe. So I tried and improved. Until I was happy. So please give the floor to a new and improved croissant recipe, which can be prepared in little chunks in three days! Please don’t ask how many tries I had to make before I was happy. There was the recipe from Julia Child which I thought I would give it a go. You can watch her making croissants in this Youtube video. I had high hopes for her recipe, I mean we are talking about no other than Julia Child, the famous American chef who brought French cuisine to the U.S. in the 60s! However, I regret to say that I was disappointed. The dough seemed to be very oily and Julia laminates the dough four times instead of three. That seems an awful lot for these tiny croissants. When the croissants came out of the oven, they were not as airy and flaky as I wanted them to be, rather they seemed dense. I had hoped for so much more! For that reason I looked further. 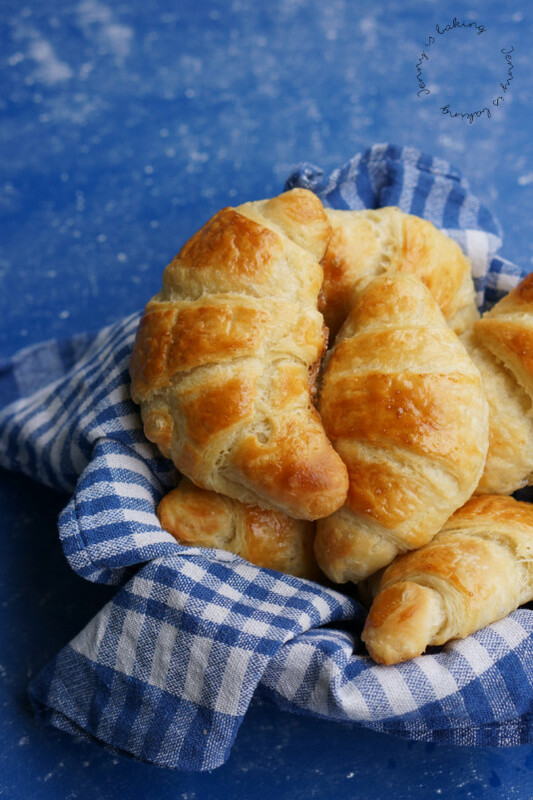 In this recipe the shaped croissants rise in the closed oven with a boiling cup of water beneath so that they don’t dry out. 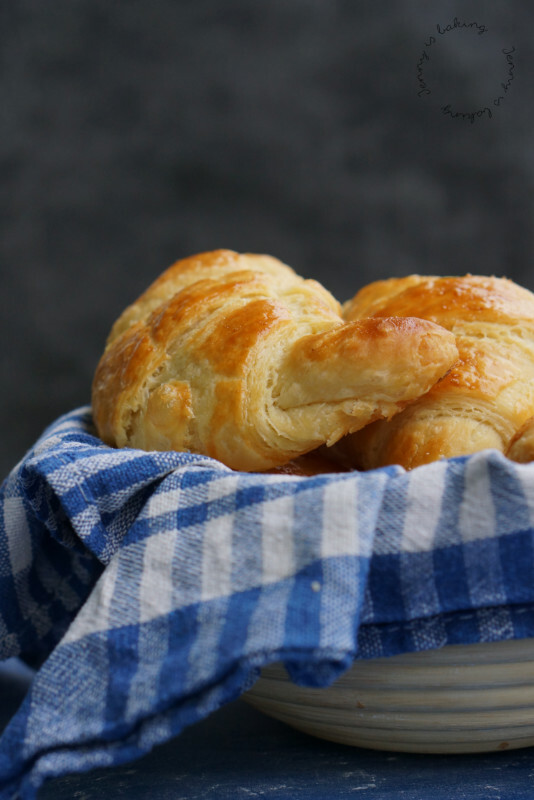 I thought that sounded great and gave it a go with one set of croissants. But what happened? Either the water was still too hot or too close to the croissants, but all what happened was that all the butter melted. My croissants deflated right in front of my eyes. Yeah, no, thank you, this was not what I was looking for! I should have known that the best results would come from my favorite blogger Sally. When I tried her croissant recipe the first time around, they came out perfect. Even the hubby approved and mind you, he bakes all our bread and is rather critical. However, Sally also has a Facebook group in which people commented that they had butter leakage while baking the croissants. So I had to test the recipe several times and tweak it a bit to avoid this. I quickly learned that the croissants turned out best if baked right from the fridge after an overnight chill and that the oven temperature had to be increased in order to get all these layers. Also, I wanted a recipe you can prepare over the course of three days and which leaves most of the rising for the night. So below you will find instructions how you can conveniently bake them to have ready for breakfast without long waiting periods. I give options to either make them in two, three, or four days. Please check the recipe below. Place all ingredients starting with the butter to the salt in a large bowl and mix shortly. Add the milk and knead for at least 10min, the dough should pull away from the sides of the bowl. Press dough into a rectangle (size doesn't matter) by hand and let rest for 30min. Then take out and roll into a rectangle (size doesn't matter). Wrap in plastic foil and chill overnight. Remember to take out butter on time. Beat the soft butter with the flour for about two minutes, then form into a rectangle on parchment paper, I did this with a spoon. Chill butter for 30min. Take out the dough and roll into a rectangle of 25x50cm. Place the chilled butter in the middle of the dough rectangle (see pictures) and seal carefully with the dough. Now turn around the package so that the sealed side is facing down and carefully roll into another rectangle of 25x50cm. In case the butter is leaking, flour that area and continue trying not to press down too much when rolling. Now make the first turn by folding the dough in thirds as you would fold a business letter. Now turn the package so that the short end faces you and again roll into a rectangle of 25x50 cm. Now comes the second turn, fold into thirds again like you would a business letter. Chill, wraped in plastic wrap for 30min. Make the third turn by again rolling out to a rectangle and folding into a business letter. Again wrap in plastic foil and chill for at least four hours or overnight. Tip: You can easily freeze some or all of the dough wrapped in plastic foil. Just thaw in fridge before continuing. Take the dough out and cut vertically. Transfer back one half and roll out the other half. Tip: If you so desire, you can leave the half for another day in the fridge before continuing. Roll out the first half into a rectangle of 25x50cm. I recommend measuring this time. Cut evenly horizontally so that you now have four rectangles. Cut each of these rectangles diagonally so that you have eight very long triangles (see pictures). Gently strech each triangle and cut a small slit at the wider end of the triangle. Roll up and shape into a half moon. Place the eight croissants on parchment paper, cover in plastic wrap and let rise for half an hour at romm temperature and at least one hour in the fridge. Tip: You can also chill in the fridge overnight. Bake straight from the fridge the next morning. Check timeline of 4 days below. Preheat oven to 220 degrees Celsius, brush croissants with egg wash and bake for 18-20min or until golden. Timeline 2 days: Start in the morning on day 1 and do all steps on that day until you shape the croissants. Bake the next morning straight out of the oven. This method is especially convenient if you don't want to wait too long and would like to serve them early for breakfast. You will have one day with of a lot of work with this timeline. 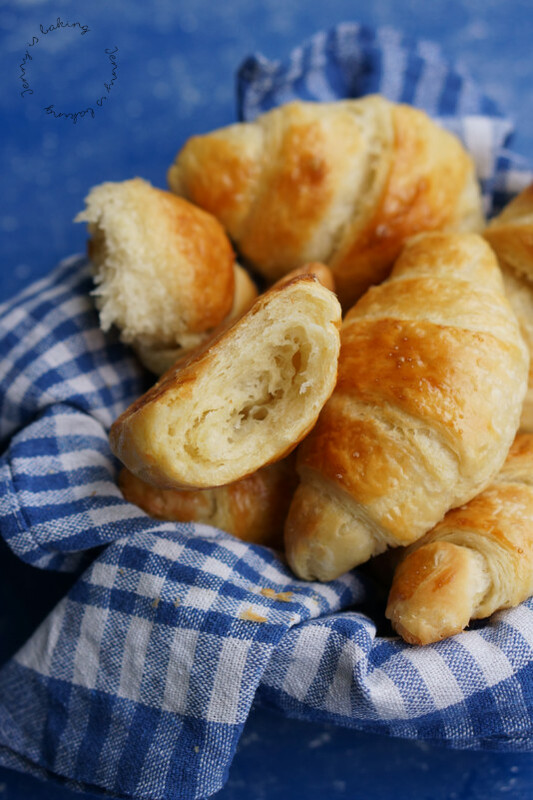 Timeline 4 days: Follow steps for day 1 and 2, on day 3 shape croissants but chill them in the fridge right away overnight. Bake the next morning straight out of the oven. Again this method is especially convenient if you don't want to wait too long and would like to serve them early for breakfast. All work is spread over the course of three days. 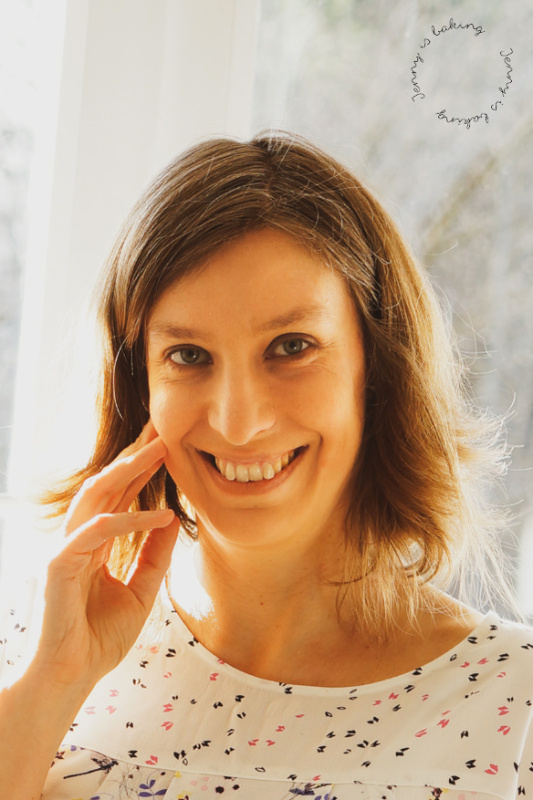 Hi, I'm Jenny, a German who lived in the U.S. and Uruguay, Latin America for several years. I'm married to a Colombian and currently living in the south of Germany in Munich. 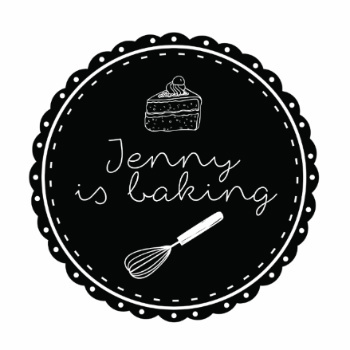 You will mainly find sweet recipes on my blog. I usually like simple, yet impressive recipes. You will also occasionally find more complicated ones. Check my recipe index for further inspiration.